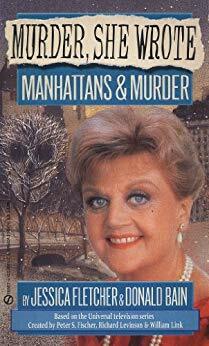 Promoting her latest book brings bestselling mystery writer Jessica Fletcher to New York for Christmas. Her schedule includes book signings, restaurants, department stores...and murder? It all begins with a sidewalk Santa staring at Jessica with fear and recognition. Behind the beard is Waldo Morse, former drug smuggler and the most notorious citizen of Cabot Cove, Maine. Jessica hasn`t a clue as to how he ended up as a street corner Saint Nick, but she agrees to meet him at two o`clock the next day. Jessica shows up with her camera, but in no time at all Santa is dead. While the police are strangely slow on their feet, and the dead man`s wife uncommonly fast on the run, Jessica decides to do what she does best: strategically snoop around and graciously outwit the pros on both sides of the law... ..